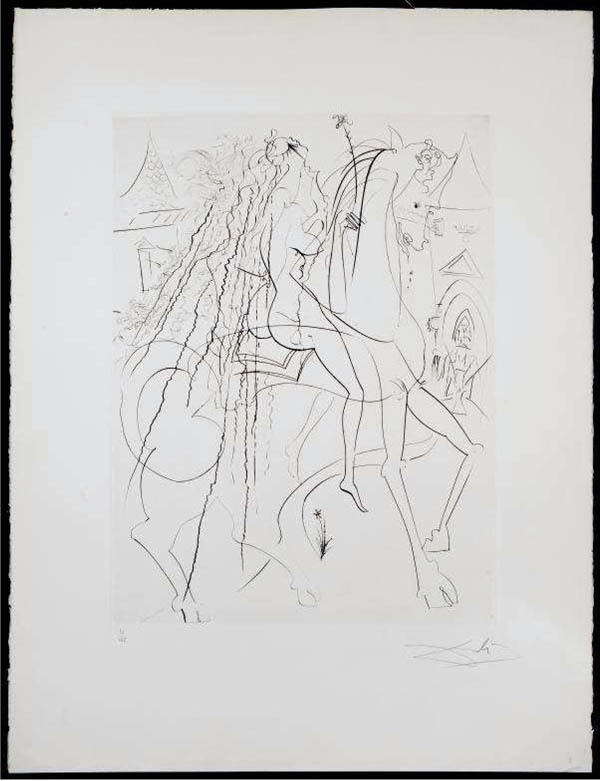 The Salvador Dali Lady Godiva etching was published in 1969 by Jean Schneider, Basel. The total tirage is 254 plus proofs on various papers. This etching is on Rives, is signed by Salvador Dali and is numbered 20/125. The image size is 19 3/8 x 14 1/2″ and the sheet 29 x 22 1/8″. The etching is in fine condition, never framed, no flaws or damage. Click on this link for additional background information on Salvador Dali. Call us for more information. Sold!!! Go to the main Individual Works Page for complete etching information.